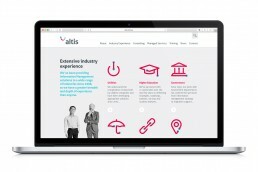 Following our work to entirely reimagine the Altis brand, it was critical that their digital communication reflected this in a way appropriate to their new positioning – while pulling through the existing online equity built up by their old site. We wanted to create an immersive brand experience as much as a digital one, using the medium to extend the new brand language and enhance the tone while allowing users to find the information they needed quickly and intuitively. 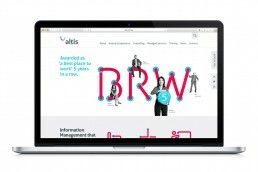 Additionally, we took the opportunity to review how Altis communicated in the written word, undertaking a range of market reviews to gain insight into how typical audiences looked for information and what words and phrases they used. This then informed how we ‘spoke’ to them and what visual support would be appropriate. 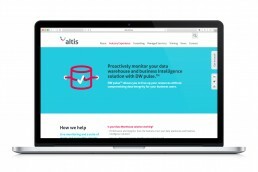 We undertook the entire process from site review and planning, to information architecture, user experience, site design, content creation, build and launch, working closely with the Altis team (dispersed across 3 countries and timezones) throughout.